Meherunnesa joined the crowds gathered in Dhaka over the weekend to commemorate the third anniversary of the Rana Plaza building collapse in Bangladesh. 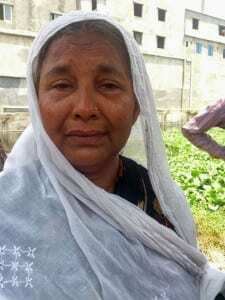 Her son, Abul Kalam Azad, was one of the more than 1,100 garment workers killed on April 24, 2013, as the multi-story building pancaked in a preventable accident that also left thousands severely injured. Meherunnesa, 70, travels 150 miles from her home in Satkhira, in southwest Bangladesh each year to honor him. Across the city, garment workers and their allies took part in a series of actions, starting off with a wreath-laying in memory of those killed. Later, hundreds of garment workers formed a human chain at the Press Club to demand punishment for those responsible for the building’s collapse and press for social security insurance so that in the future, workers and their families can be compensated for workplace injuries and death. They were joined by members of the global union IndustriAll, Sramik Nirapotta Forum, the Solidarity Center and other allies. 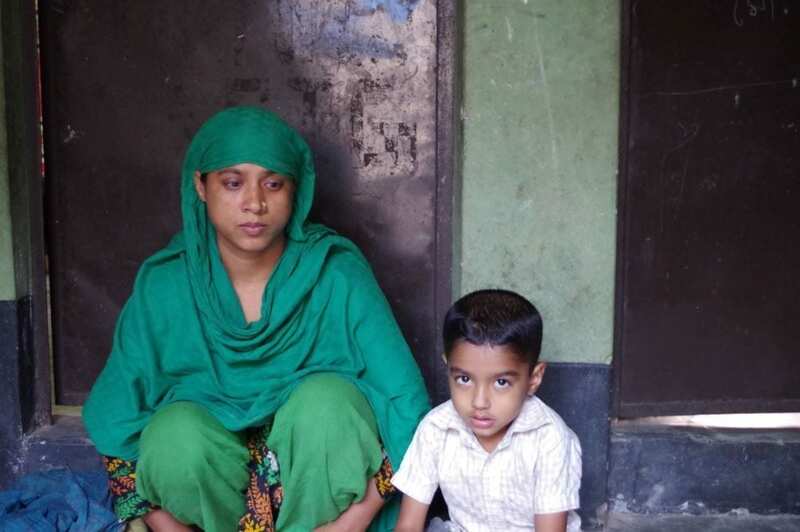 Anisur Rahman is among those injured at Rana Plaza who says he never received compensation. Anisur was a maintenance worker on the building’s seventh floor when it collapsed. He survived a broken neck injury and now suffers from memory loss. He has been unable to get another job because of his injuries, but says he has not given up. International outrage over the Rana Plaza and Tazreen disasters prompted creation of the Bangladesh Fire and Building Safety Accord process, a legally binding agreement in which nearly 200 corporate clothing brands pay for garment factory inspections. Dozens of garment factories have been closed for safety violations and pressing safety issues addressed. Since the Tazreen fire, 34 garment workers have been killed in fire incidents and 1,023 workers injured, according to data compiled by the Solidarity Center staff in Bangladesh. Further, workers seeking to form unions to improve workplace safety have encountered increasing obstacles in doing so. Since January 2015, government approval of union registrations has dropped precipitously: In 2015, the government rejected 73 percent of union registration applications, according to data compiled by Solidarity Center staff in Dhaka. 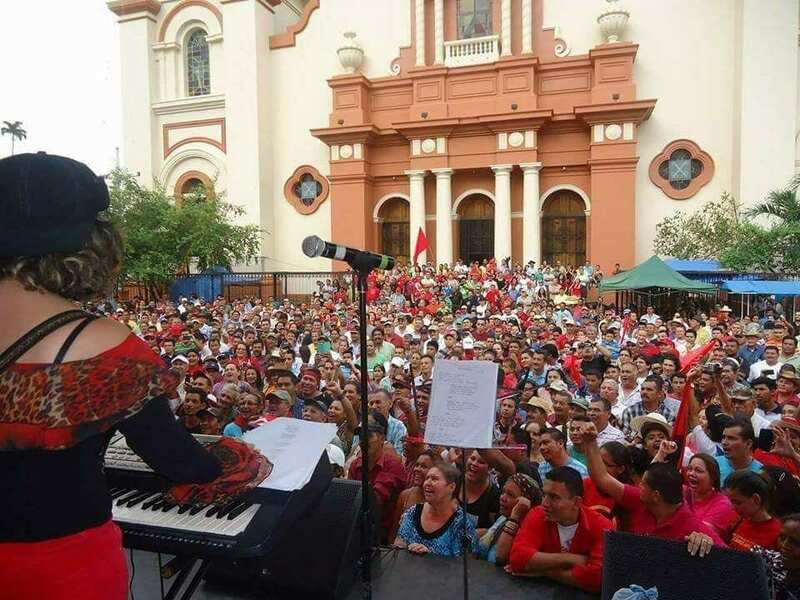 Rejections of workers’ desire to organize continues in 2016. 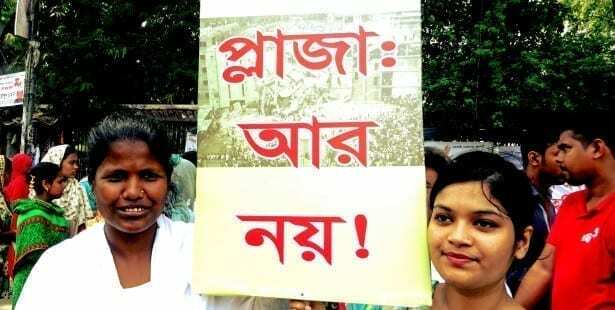 Citing “persistent and growing violations by the Bangladesh government of its responsibility to respect workers’ rights,” the International Trade Union Confederation (ITUC) filed a freedom of association case with the International Labor Organization (ILO). According to the ITUC, the case, which will be heard by the ILO’s Committee on Freedom of Association, “details how the government … sought the dissolution of existing unions and stood idly by when factory management have engaged in union-busting in contravention of the Bangladesh Labor Act and criminal law.” The details include examples of union leaders who have been beaten and hospitalized and members of union executive boards who have been fired. Over the past few years, the Solidarity Center has held fire safety trainings for hundreds of garment factory workers. Workers learn fire prevention measures, find out about safety equipment their factories should make available and get hands-on experience in extinguishing fires.